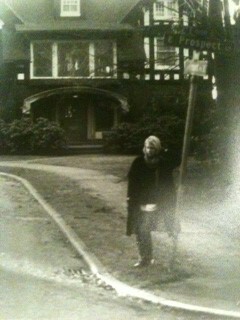 Prospect St. Seattle, 1984. Girl-child leaning on a pole marked Prospect. Languid like the curve of the cornerstone. Eyes downturned, passions curbed for the time being. Loneliness leaving pock-marks on the present and the future firmament. Meeting glamour with hands in pockets. At some point there will be a sense of deja vu; this thing that I am doing I surely attempted before. Is it a boon that I cannot remember my failures? 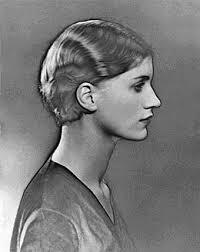 Lee Miller floats down from the clouds into a solarized photograph, her perfect profile traced by an imaginary pencil. She looks past the crease in the page, her gaze world-weary in spite of her youthful stage. The V-curve of her collar is a dagger hurtling towards her heart, out of the viewfinder’s range.